How many ways can one cook prawns? I can think of 10 ways to cook them — boiled, steamed, grilled, broiled, barbequed, sautéed, fried, braised, roasted and even stewed. 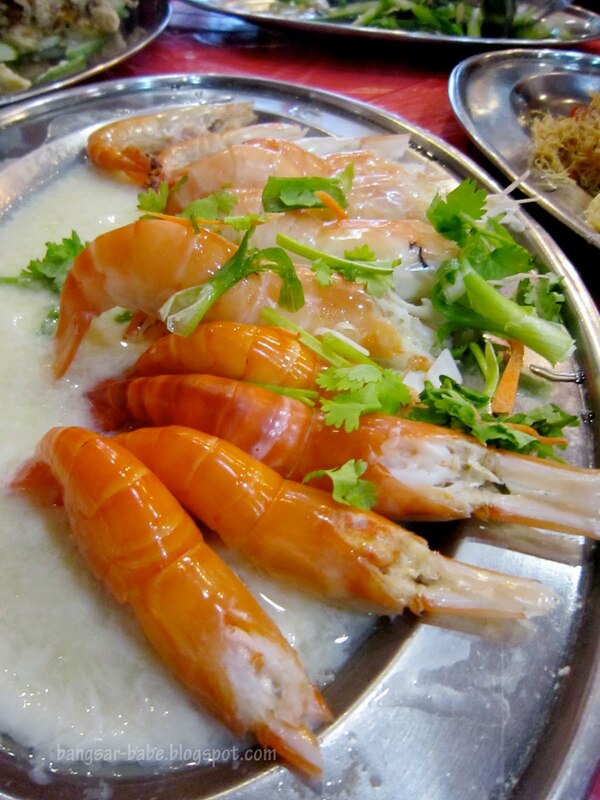 Prawns are one of the most versatile seafood to cook and they taste delicious when eaten fresh. Steamed prawns are my favourite, as I feel this cooking method brings out the natural sweetness of the prawns. On our recent Ipoh outing, my friends and I decided to indulge in some freshwater prawns so we made our way to Tanjung Tualang for dinner. This small town was once a mining town, but it is now a must-visit place for freshwater prawns. Almost all the restaurants at Tanjung Tualang served seafood; we were spoilt for choice. 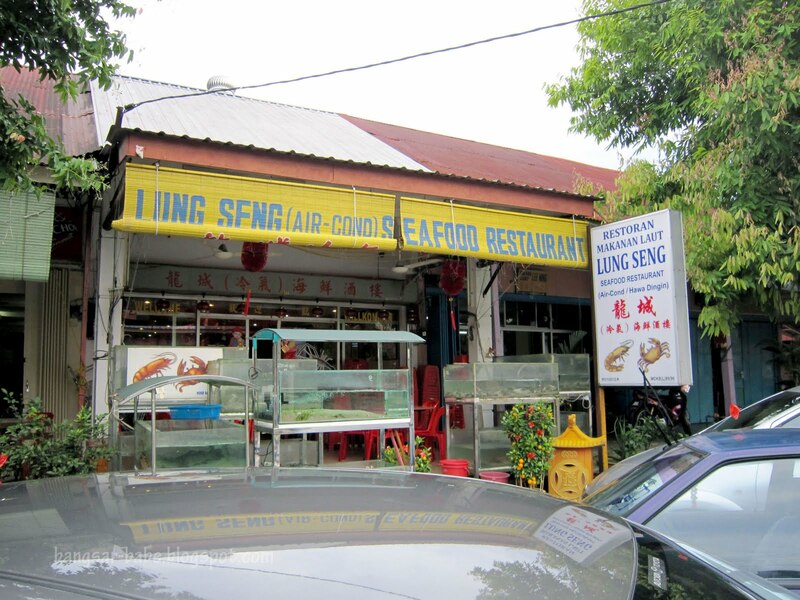 In the end, we choose to eat at Lung Seng Seafood Restaurant. The outlet is clean and air-conditioned, a plus point for those who can’t stand dining al fresco in our humid weather. We ordered 1kg of medium-sized freshwater prawns (RM68 per kg) cooked two styles, spicyassam fish, deep-fried squid and stir-fried kailan. 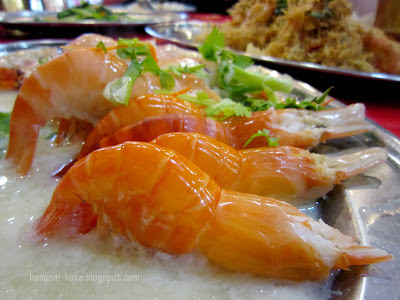 The steamed prawns were sweet, succulent and crunchy. Cooked with a generous amount of Chinese rice wine, ginger slivers and egg white, it tasted absolutely delicious. I drank up all the remaining gravy after we finished the prawns. To tell how fresh prawns are, one should always look at how red it is after they are cooked — the prawns we ordered had a bright, red hue. Two of the prawns I ate were full of roe. The smooth, orange-coloured roe was soft and creamy. 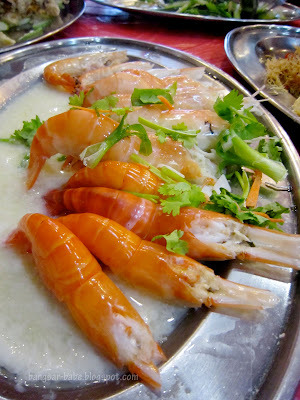 Also tasty were the butter prawns, which came with fine egg yolk threads. Crunchy and richly flavoured, I relished every bite. 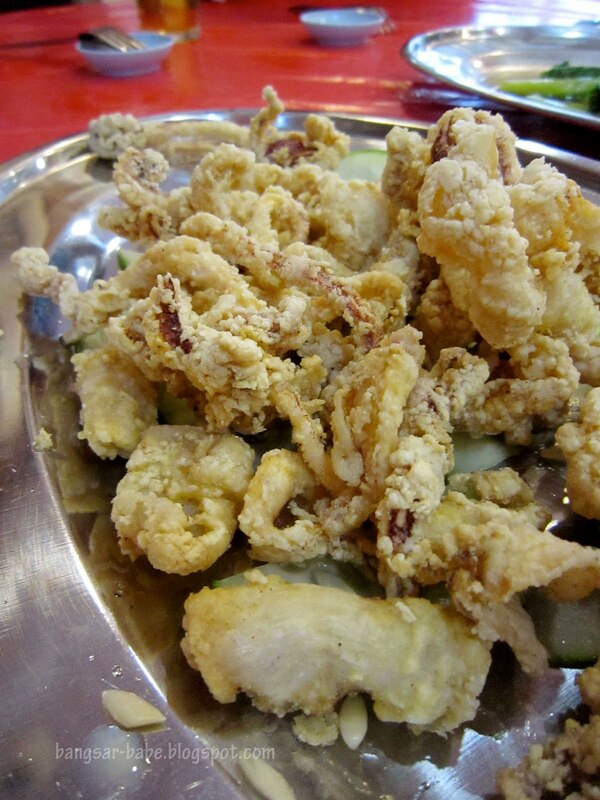 Another favourite among my friends was the deep-fried squid. While this was prepared in a typical way, the squid pieces were tender and nicely coated in a light yet crispy batter. This tasted better with some homemade chilli sauce, which was fragrant, spicy and strong garlic aroma. Instead of fish curry, we opted for assam fish and were pleased with our choice. 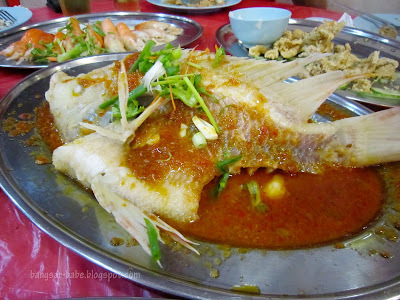 The gravy had a good balance of spicy, sweet, salty and tangy flavours, and it complemented the freshness of the fish nicely. 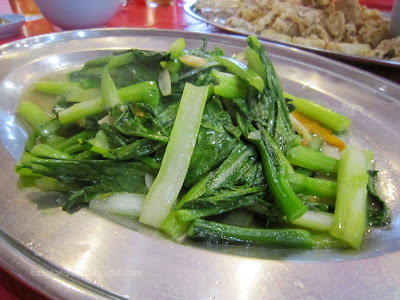 I have never been a fan of kailan but this was sufficiently prepared. This was ordered to balance out the cholesterol-laden dishes we ordered. My friends and I wanted to order some crabs, but alas, there were no crabs available on that day. The scrawny ones left in the tank didn’t look very promising. 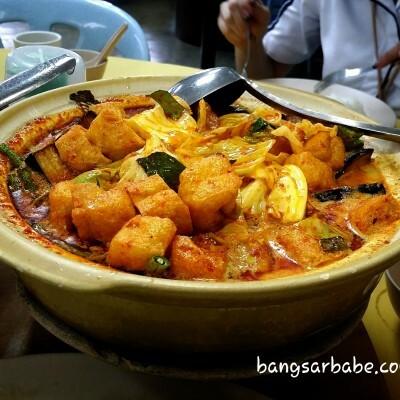 Our meal was slightly over RM130 for seven people and I found it pretty reasonable considering the amount we ordered. 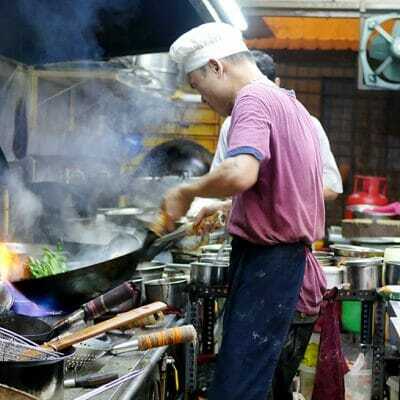 I was quite pleased with the food and loved how simple ingredients and seasoning were used to complement the freshness of the seafood. 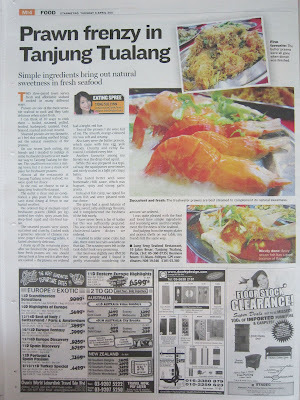 And judging from the empty plates and prawn shells on our table, my friends felt the same way. 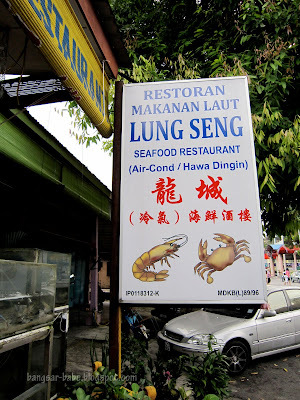 Verdict: Seafood doesn’t get any fresher than this! Hi! I would like to say that I enjoy reading your columns in the Star Metro. Your reviews are fun to read and very to the point. No fancy descriptions – nice. 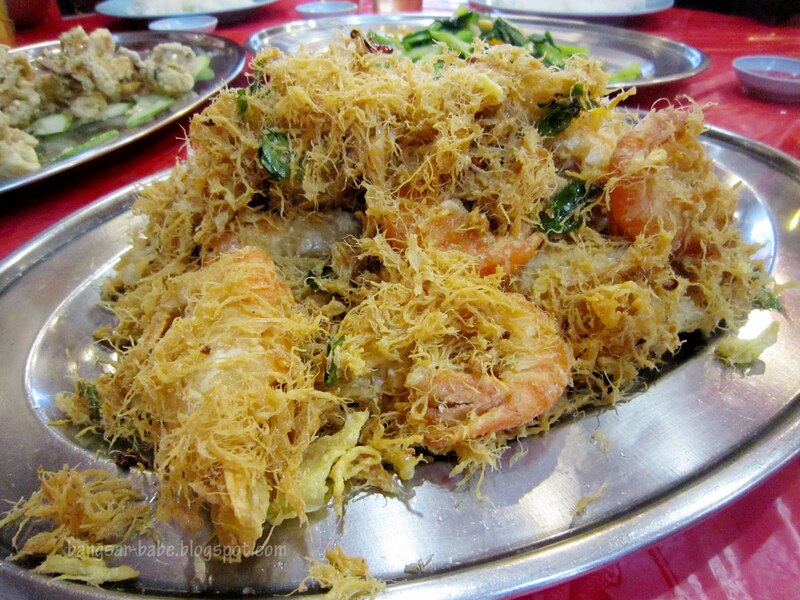 The prawns made me soooo hungry after. thats not a whole lot of prawns for so many people haha. i remember the first time and the only time we were there, i think we wallop 2kgs between 5 of us! haha that was crazy i tell you! SF Lee – I went end of Feb. All the restaurants seemed fine wor. I think the fire was in June last year.